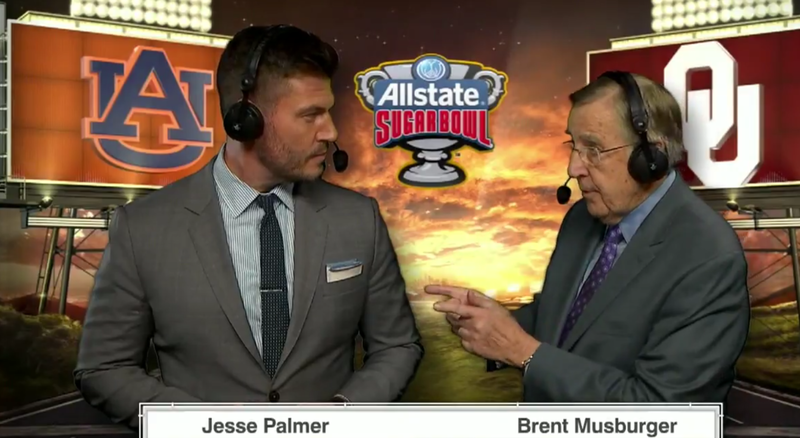 Brent Musburger is returning to the booth, doing play-by-play for the Raiders. Do you miss Brent Musburger actually calling games opposed to his current role with VSiN and his colorful Twitter persona? Well you’re in luck (kind of), as reports are circulating that Musburger will become the radio voice of the Oakland — and soon-to-be Las Vegas — Raiders. The not fully confirmed news was first tweeted by sports media Twitter account, Fake Rudy Martzke. The Raiders will have a new but familiar voice calling games. Legendary broadcaster Brent Musburger is the new voice of the Raiders. The anonymous account has a pretty solid track record breaking sports media news. AA looked for confirmation and received a “Where did you hear that? Let me call you back as I don’t think that’s supposed to be announced yet,” from someone with knowledge of hiring. It’s possible the deal isn’t 100% finalized, but is more or less locked in at this point. Brent Musburger agreed to terms on a 2-year deal with Compass Media to call games on the radio for the entire football season for the Oakland Raiders. His first season will be in Oakland and then to Las Vegas to call Las Vegas Raider games on the radio. Musburger hasn’t called a game since the spring of 2016, and he’s missed by many sports fans, many of whom believed he is one of the best, if not *the* best play-by-play announcer of all-time. Musburger left ESPN to be the anchor personality of VSiN, which seems well-positioned to take advantage of the recent legalization of sports betting. With VSiN in Las Vegas and Musburger having a long-term relationship with former Raiders owner Al Davis (in addition to championing the Raiders relocation to Las Vegas), this is certainly a move that makes a lot of sense on both sides. Add in the fact that the Raiders were moving towards a divorce with former play-by-play announcer, Greg Papa, and tonight’s report seems extremely credible. While it’s great that Musburger will be back in the booth, it’s certainly a far cry from the national assignments he was doing a few years ago. Perhaps this will open up the door for him to take on some larger national assignments down the road? Copying and pasting my Twitter bio. I'm also refusing (for now) to write this in the third person. This is me - EIC and CEO at @comeback_sports and @AwfulAnnouncing, world's greatest chinese jew, proud Buckeye, funny dude, and sports and digital media zealot.